Purpose: The Casey Moore Fund supports graduate students in the Earth and Planetary Sciences Department at UCSC as they conduct thesis-related research. History: The Casey Moore Fund was established to honor of one of the Earth and Planetary Science Department's most influential and inspirational faculty members, J. Casey Moore. The fund was organized initially by a small group of Casey's former graduate and undergraduate students, in honor of his retirement, and has generated considerable support from current and former students and colleagues. 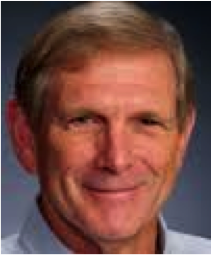 We are delighted that Casey remains active as an Emeritus Professor, and is enthusiastic about growing the fund and having a positive impact on future generations of EPS students. Status: The Casey Moore Fund is currently endowed with just over $228,000. 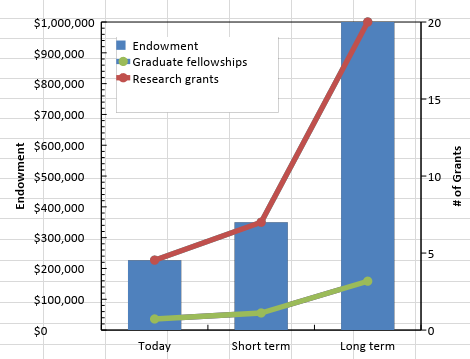 Endowment Goal: Our long-term goal is to grow the endowment to $1,000,000, allowing the fund to support three academic quarters/year of graduate student fellowship or a large number of smaller research grants. Once the endowment grows to $350,000 (we are almost there! ), it will support one quarter of graduate student fellowship or six individual research grants per year. Our Request: Please donate to the Casey Moore Fund in support of EPS graduate students. You could make a one-time donation or pledge to give annually.